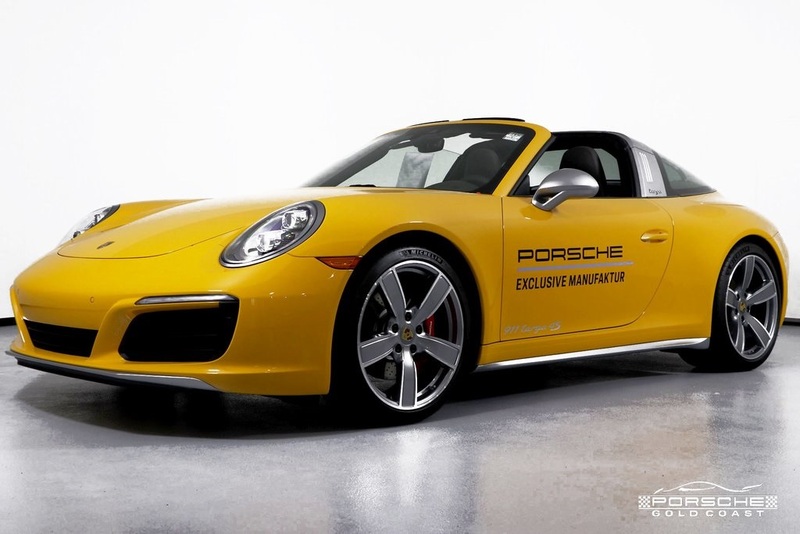 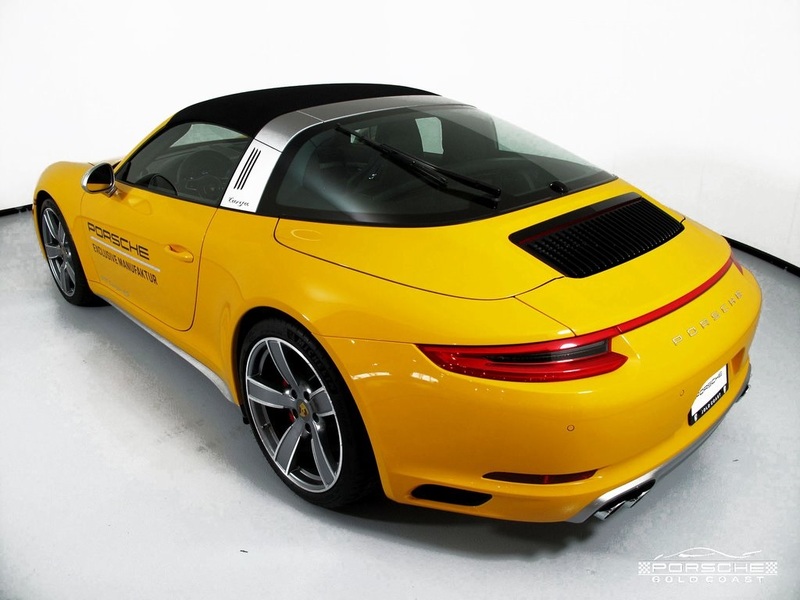 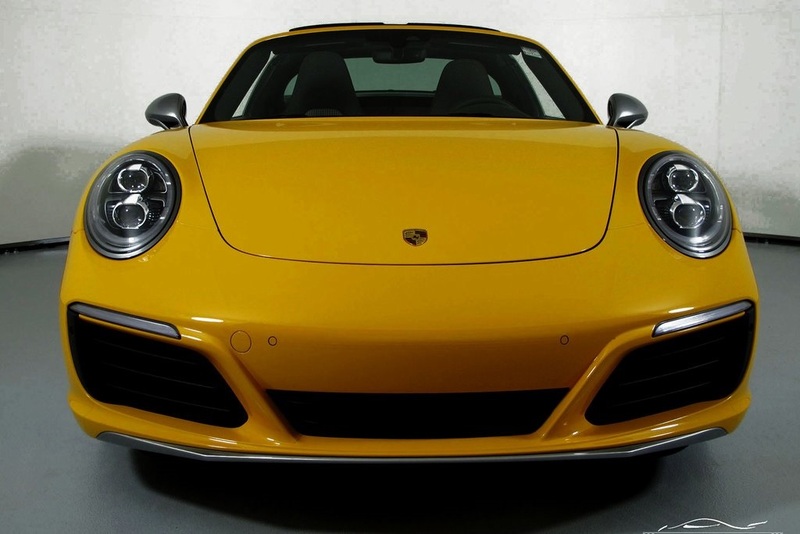 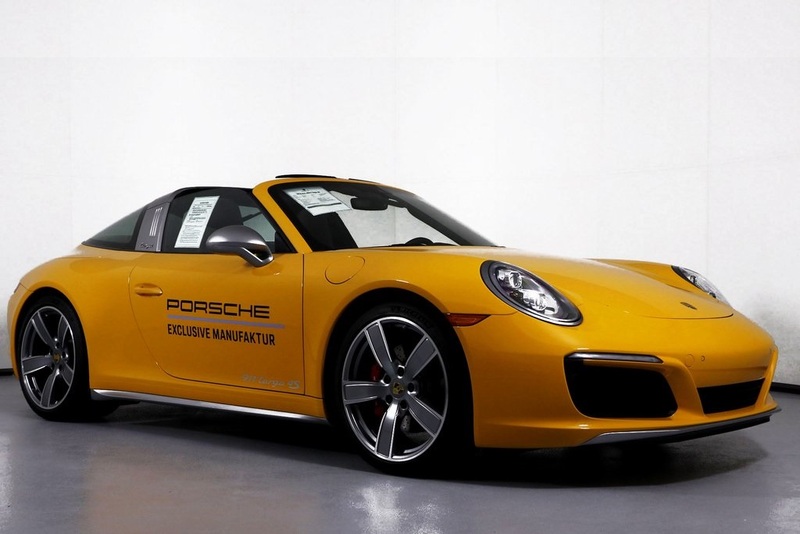 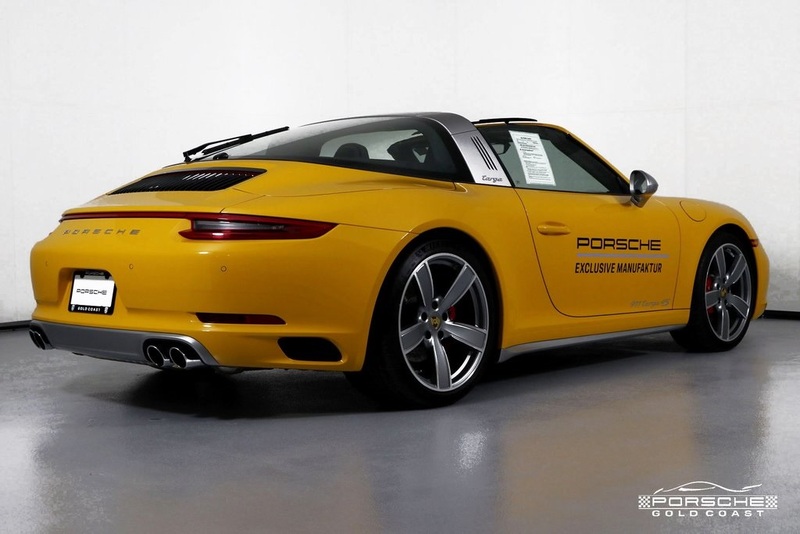 2018 Targa 4S Exclusive Edition in Paint to Sample Signal Yellow. 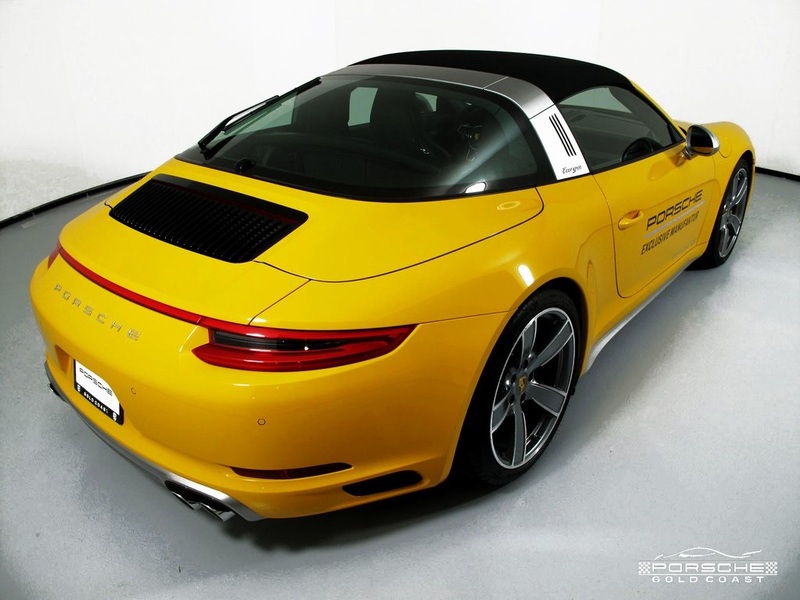 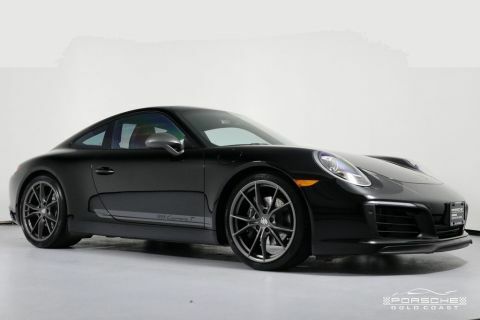 A one of a kind 911 with Special Wish options to match. 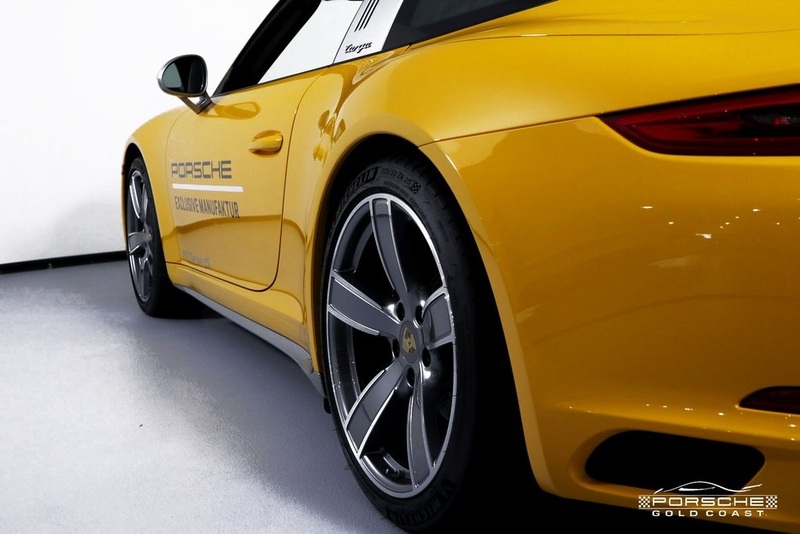 For decades, many famous people have visited the Porsche Exclusive department in Stuttgart to order their personal Porsche, and eventually most of these vehicles find their way into such private collections, occasionally returning to their birthplace for a makeover. 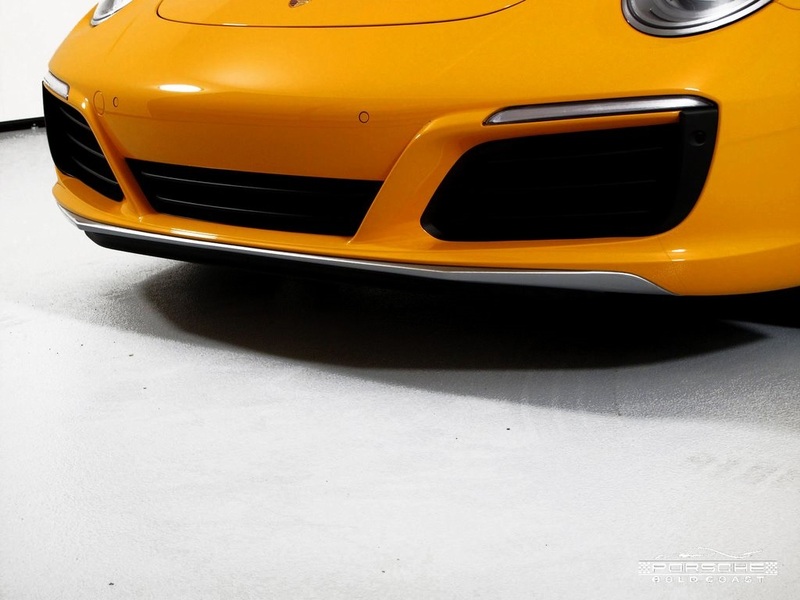 Some can be admired in the Porsche Museum at Porscheplatz. 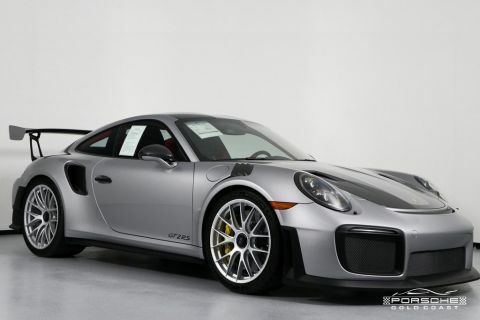 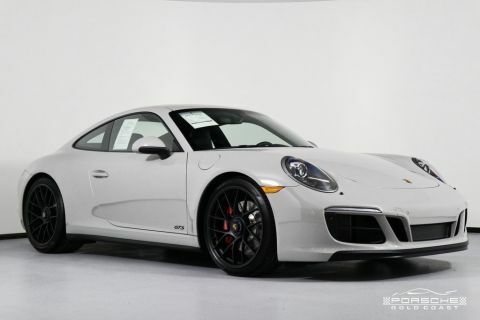 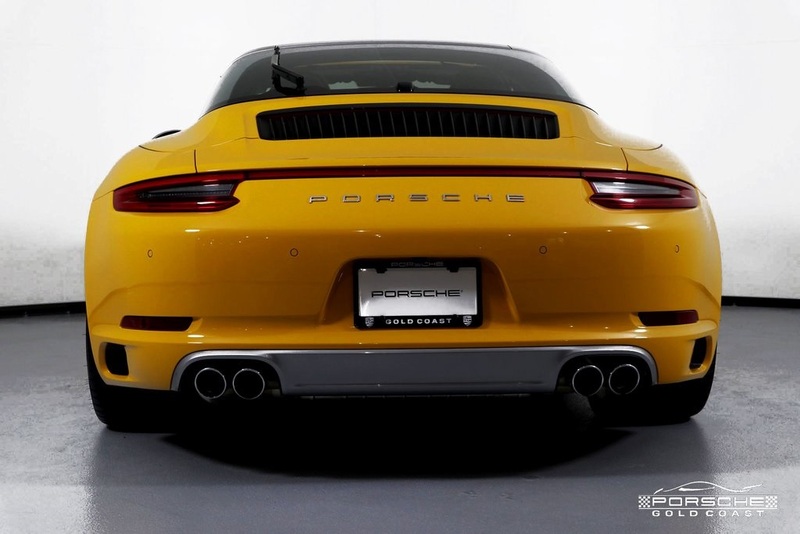 Not everything that was fashionable in the past has stood the test of time well, at least according to our modern taste, but all these individual cars from Porsche Zuffenhausen are collectible items with the potential to grow in value. 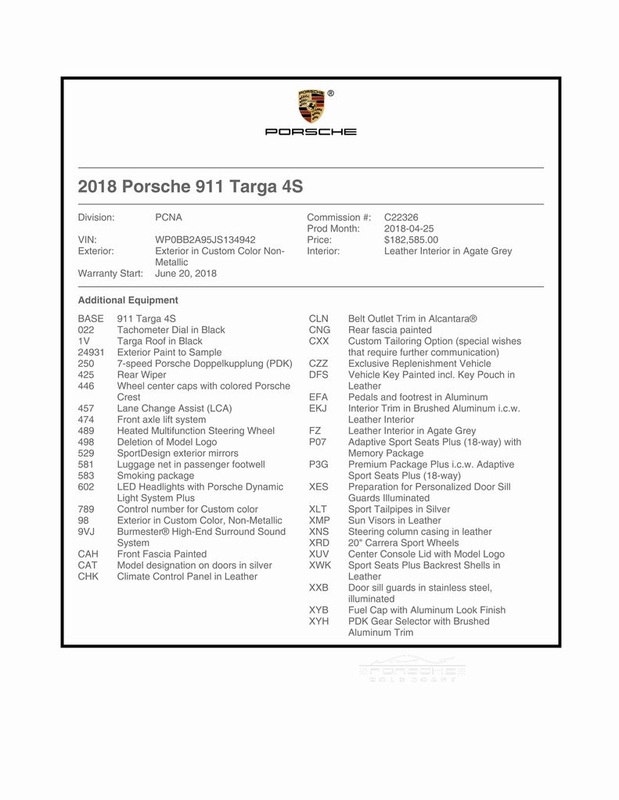 Balance of faqctory warranty which will run until June 20, 2022 or up to 50,000 miles. 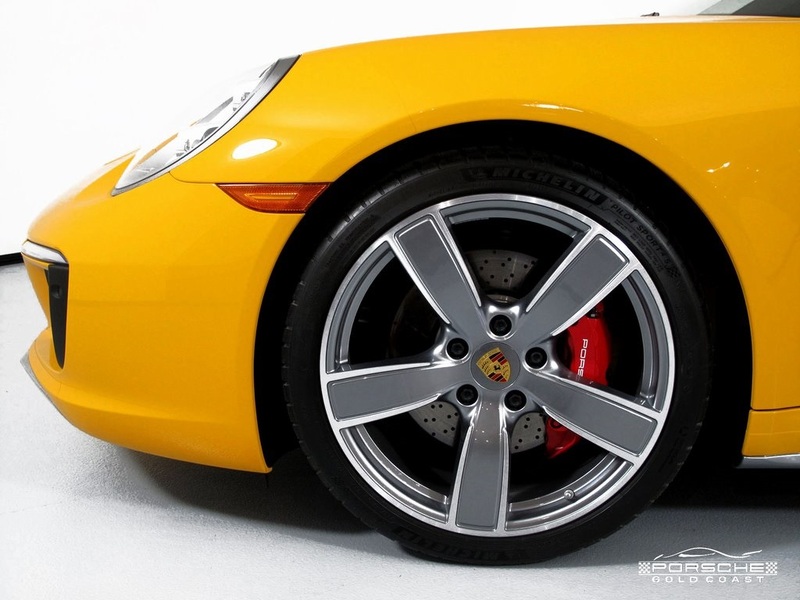 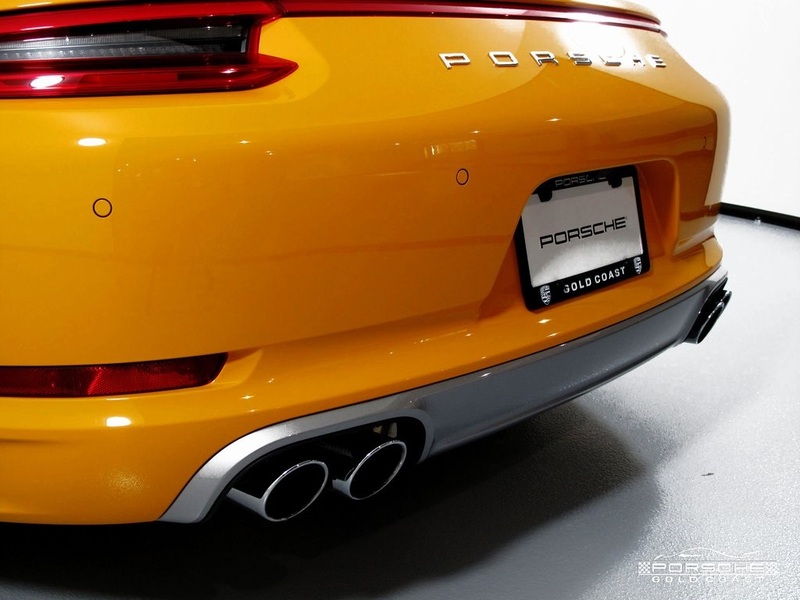 The individual enhancement options available through Porsche Exclusive Manufacture include aerokits, sport design packages, increased performance, sport tailpipes, painted add-on parts as well as front and rear lights. 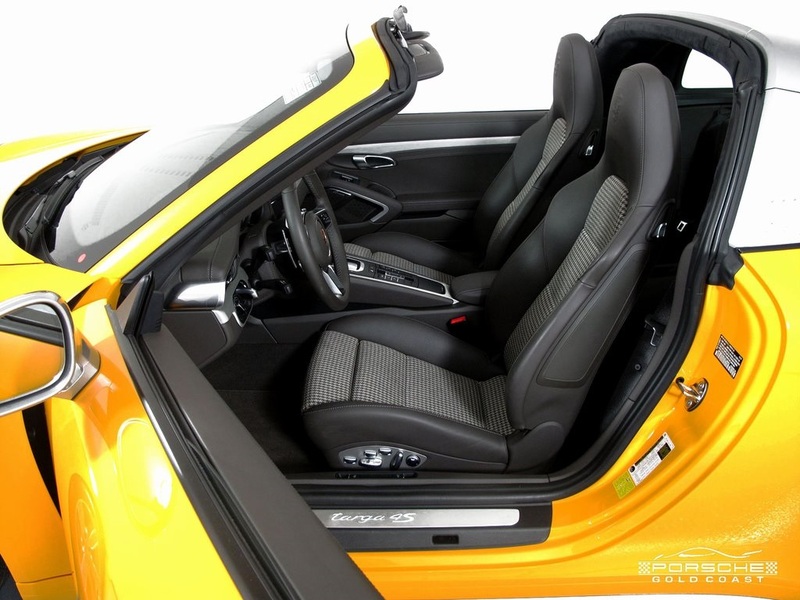 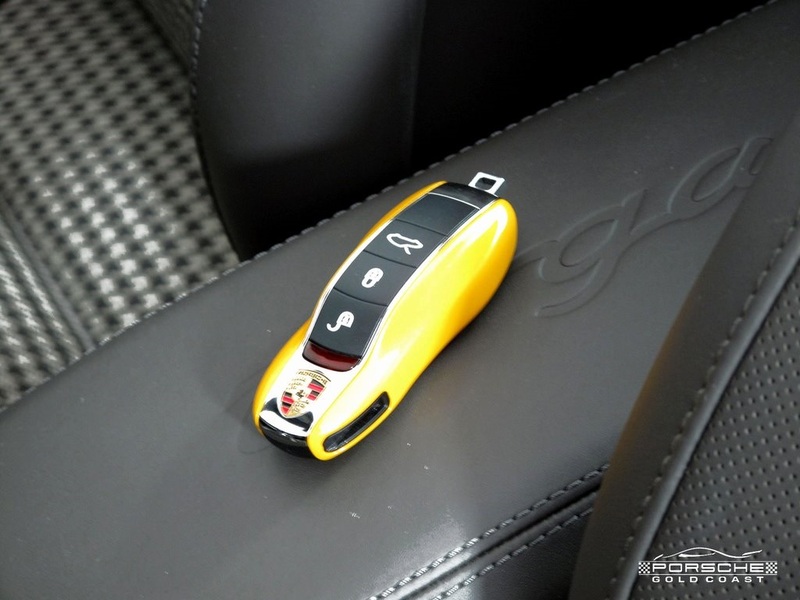 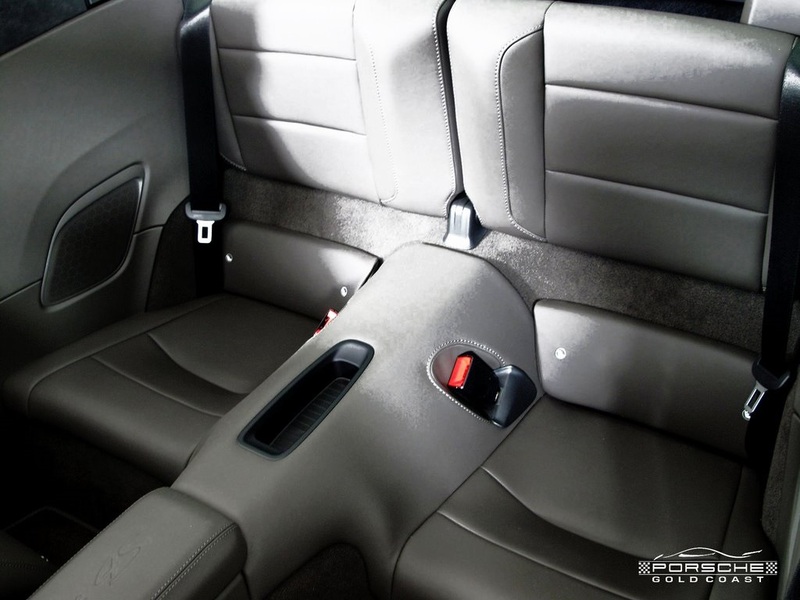 Customers can use the Exclusive Manufacture program to design the interior to suit their taste and choose from a wide selection of decors, leathers, exterior colors, embossments, and stitching packages in a range of colors. 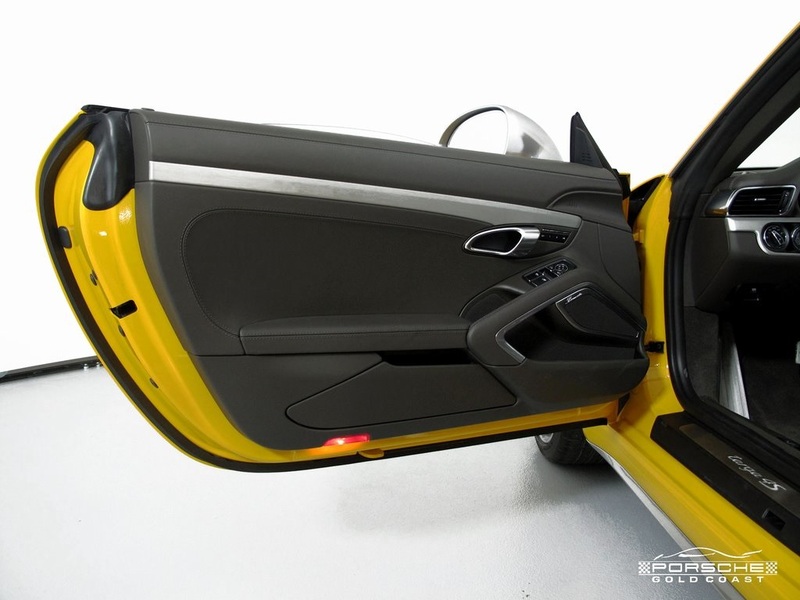 Combined with the exterior finishes offered by the factory and the choice of leathers, the possibilities open to the customer are endless.